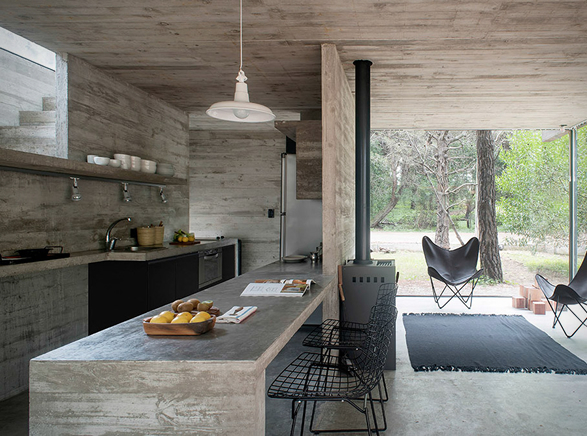 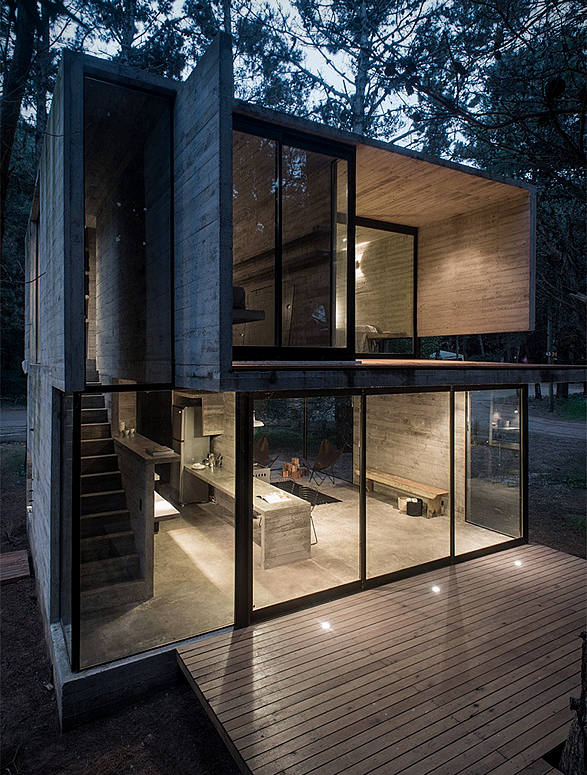 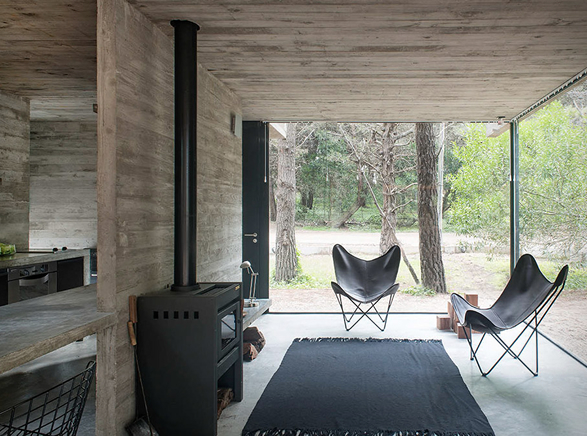 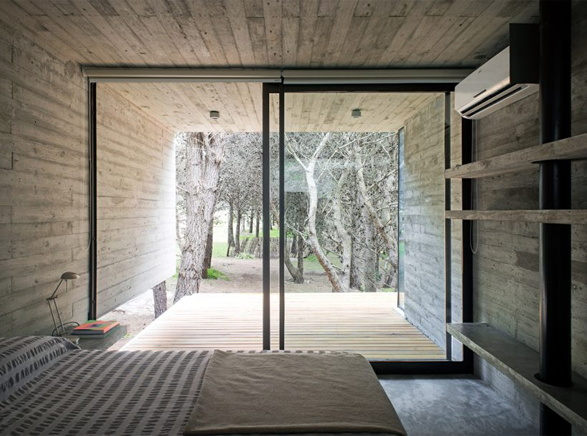 Designed by Argentinean architect Luciano Kruk, the Concrete Summer House is a distinctly modern structure, but looks perfectly at home in the wooded area of a beautiful natural space located in northern Argentina. 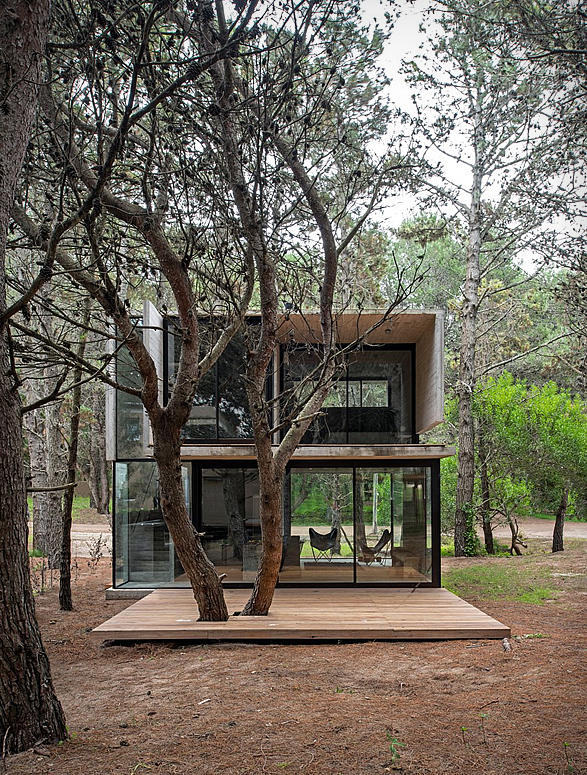 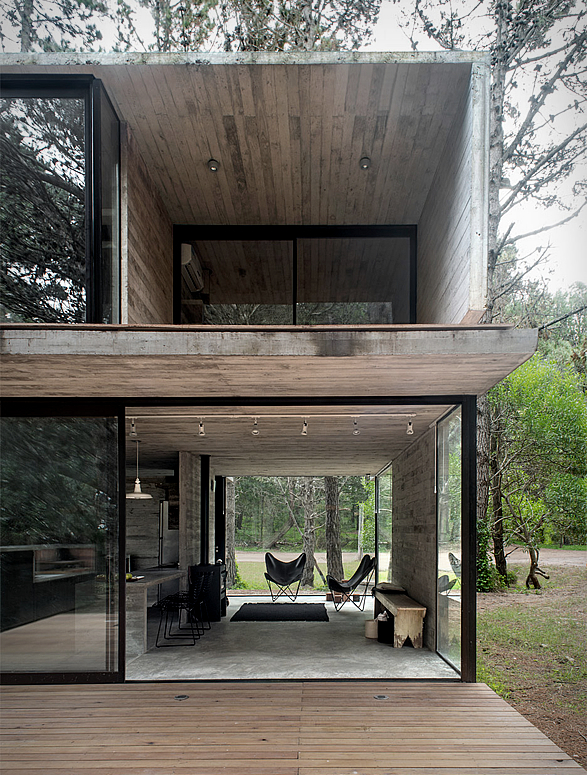 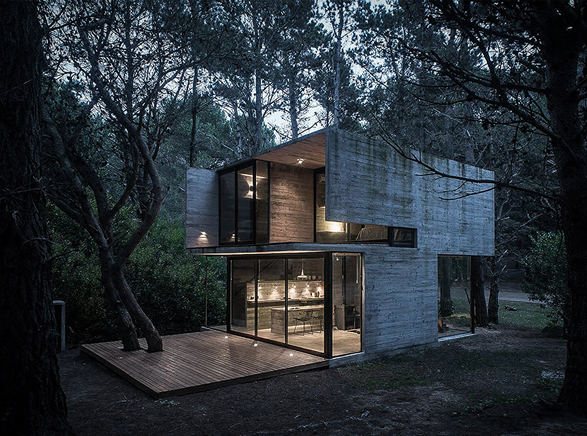 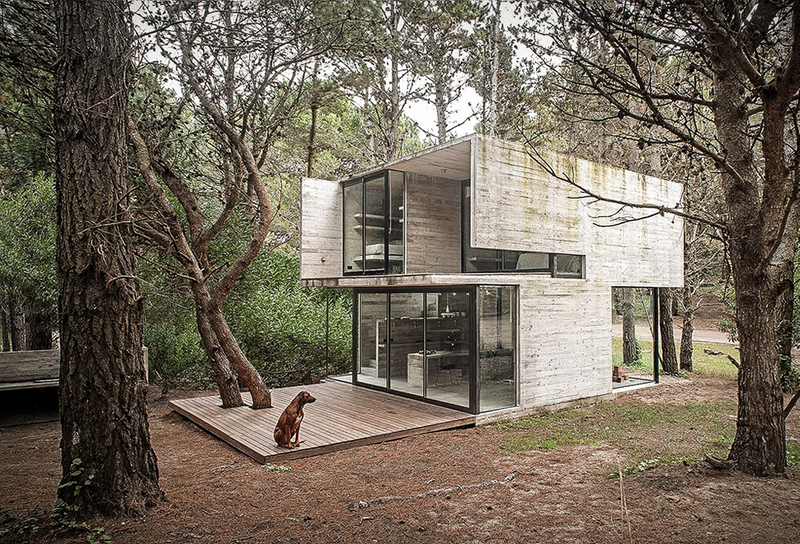 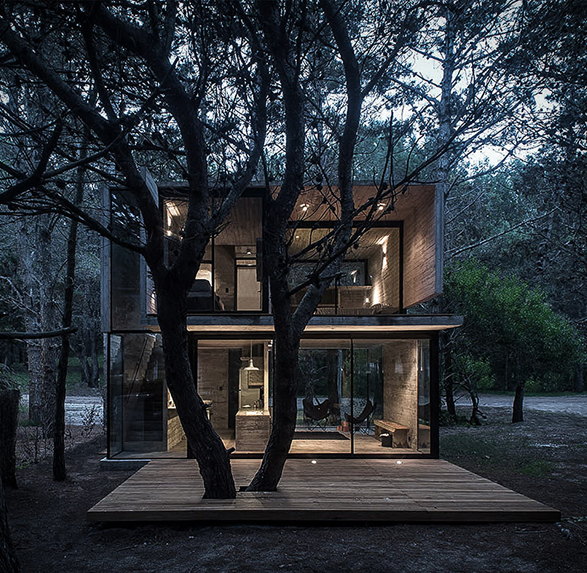 Located among pine trees in the seaside resort of Mar Azul near Buenos Aires, the H3 House is built using concrete to create a rugged appearance and to reduce maintenance, but also to draw a connection between the house and its wooded setting. 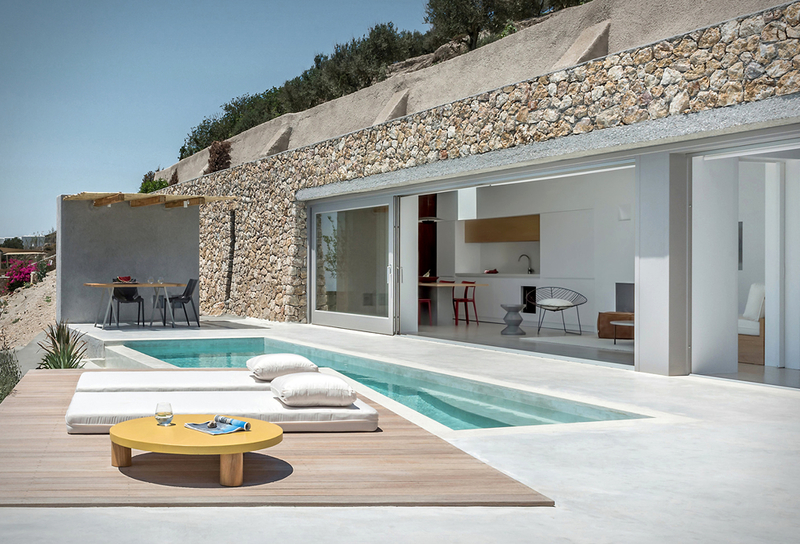 It features an open-plan kitchen, dining room and lounge on the ground floor, and two bedrooms and a shared bathroom on the upper level. 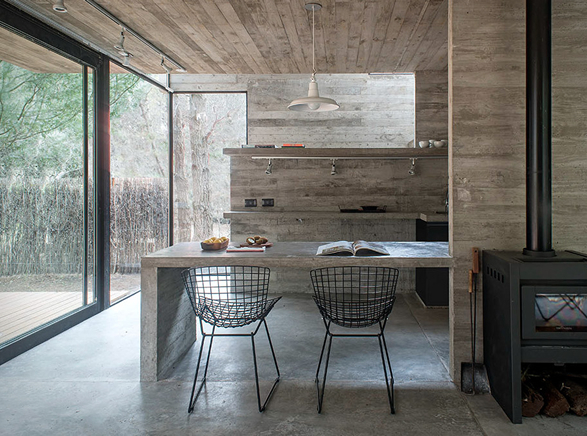 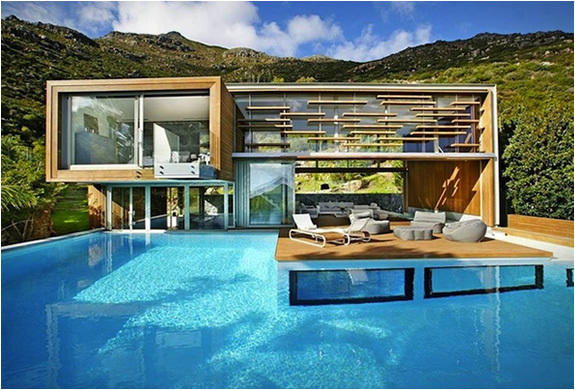 All spaces are bathed in natural light flowing through the floor-to-ceiling glazed walls. 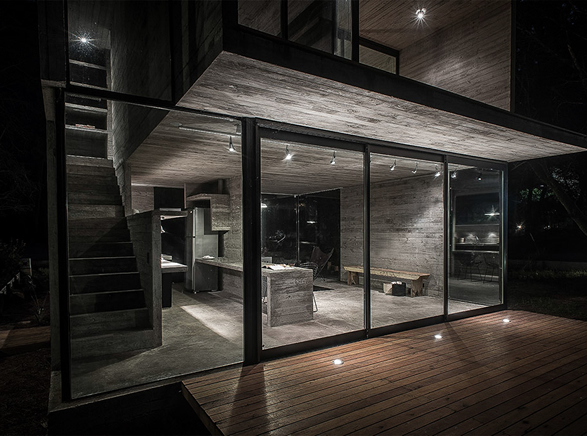 Inside, concrete furniture is integrated into the architecture.